Interpreting Section 4(6)(b)(ii) of the Payment of Gratuity Act, the Supreme Court has held that forfeiture of gratuity on the ground of misconduct which constitutes an offence involving moral turpitude, is permissible only if he is convicted by a court of competent jurisdiction for the said offence. 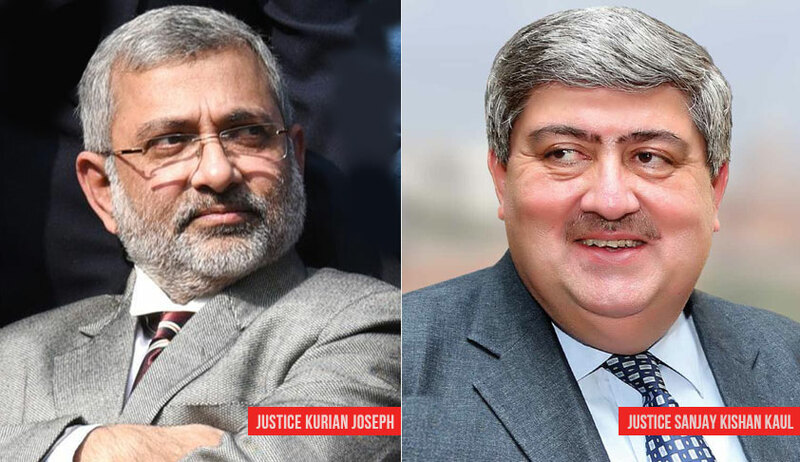 The bench of Justice Kurian Joseph and Justice Sanjay Kishan Kaul (in Union Bank of India vs. CG Ajay Babu) also observed that forfeiture of gratuity is not automatic on dismissal from service; but it is subject to sub-Sections (5) and (6) of Section 4 of the Payment of Gratuity Act, 1972. While serving as a branch manager, disciplinary proceedings were initiated against Ajay Babu which culminated in his dismissal. Later the bank also forfeited the gratuity on account of proved misconduct involving moral turpitude. Though refused to interfere with ‘dismissal’, the high court held that as per the bipartite settlement between the bank and its employees, forfeiture of gratuity is permissible only in case the misconduct leading to the dismissal has caused financial loss to the bank and only to that extent. The bench, agreeing with the high court view, noted that the settlement provides for forfeiture only if there is a loss caused on account of misconduct leading to dismissal, is also not in dispute. It also observed that Section 4(5) provides that an employee is entitled to receive better terms of gratuity under any award or agreement or contract with the employer, notwithstanding other provisions of Section 4. The bench also rejected the contention that the expression in the provision “while providing for better terms of gratuity under any award or agreement or contract”, deals only with the quantum of the gratuity and not with the entitlement under any award or agreement or contract as such. “We are afraid, this submission cannot be appreciated. The statute provides for better terms of gratuity under any award or agreement or contract which means all terms of the contract. The choice is between the award or agreement or contract and the statute, but not partially of either,” the bench observed. Though it was observed that the bank could not have taken recourse to sub-Section (6) of Section 4 of the Act, the bench examined scope of these provisions as well. It particularly noted that in Sub-Clause (ii) of sub-Section (6)(b) when the termination is on account any act which constitutes an offence involving moral turpitude committed during the course of employment, forfeiture is permissible. The bank’s contention was that the conduct of the employee, which leads to the framing of charges in the departmental proceedings involves moral turpitude and hence the said provision can be invoked.